You know, some years really just kick your teeth in. Like you thought you had everything all collected and under control in life, and then WHAM...2018. Sometimes that's a bad thing, but sometimes it turns out to be exactly what was needed. So at the end of this first year of Luna Honey's existence as a real, full-fledged band, we wanted to roughly jot down some of the madness before it's lost into the ether. Some perspective: we didn't even all know each other at the very start of the year. Levi and I met Madeline on her birthday in early January when we were going with Ben to see Tölva at Back Bar (Ben and Madeline had met years before, but for that story, you'll have to check out the Chunky Glasses podcast). We'd pretty much finished up recording everything for Peace Will Grind You Down, but we did have a few other songs we were still working on, one of which we really wanted some baritone sax lurking around on. Ask and the universe will provide. She came over to Ben's studio and recorded Going Faster and it was kinda like, oh...this person fits really well. Let’s do this thing. So fast forward and we’ve decided if we are going to do this thing, we’re going to really give it our all. “Honey,” our first single dropped April 13th, a Friday the 13th to echo the Friday the 13th we had begun recording back in the fall. And so. It begins. Our first public thing we did as a band was to appear on Salita Sessions, which was recorded before our first show. It was a great opportunity to share what we’d been working on in an intimate setting, and it was a lot of fun with some great people. When “Evolution” came out the week before our first show, things were starting to feel a bit more real. Every time people had been asking me about the album, I’d answer but feel like I was talking about some fake album by some fake band that some other person who wasn’t me was putting out. To be 33 and not only putting out your first album, but performing your first show does feel a bit like “WHAT AM I DOING?” mixed with “THEY ARE ALL GOING TO FIND OUT I’M A FRAUD.” But turns out we’re all a bunch of frauds, so it’s alright. Our first show at The Beehive on May 20th was killer. 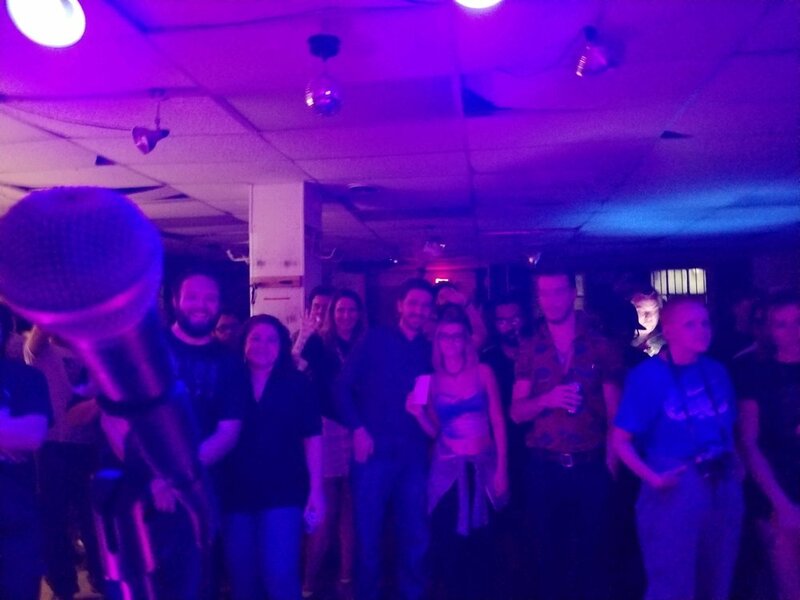 I somehow survived my stage fright and did not puke anywhere, so it was already a success in my book, but turns out playing your truth music to a packed room of people who seem into it is something that feels pretty darn good. JMoney Fur helped transition us from normal time to the other plane with some ambient experimental vibes, Three-Brained Robot from New Orleans played this totally crazy set with a tricycle and a wedding dress and Sir E.U finished off the night with some of the best hip hop DC has right now. We felt like some real lucky ducks to get to have a part in the night. The day before “Relinquish” was supposed to come out. I got temporarily possessed by a younger version of myself who was like “HEY YOU SHOULD MAKE A VIDEO TO GO WITH THIS RIDICULOUS 8 MINUTE LONG DIRGE YOU ARE CALLING A SINGLE.” I probably hadn’t edited anything in over a decade, which was a sad realization. It’s pieced together from public domain footage and is a bit rough, but it felt really good to stretch those video legs again. On another Friday the 13th in July, we finally got to release Peace Will Grind You Down out there in the world. Richmond buddies Among the Rocks and Roots were able to join us, along with Social Station and Kamyar Arsani, who Ben had been working with on "Voices in the Dark." We'd wanted to do the show at Hole in the Sky, one of the few remaining DIY spaces in DC that's still around from when I first started going to see shows in DC. DIY venues have been important to everyone in the band, and the combination of the cathartic, soul-opening music of the night in a space with such creative energy really made for a memorable night and was a good reminder why it is so important to preserve those spaces. 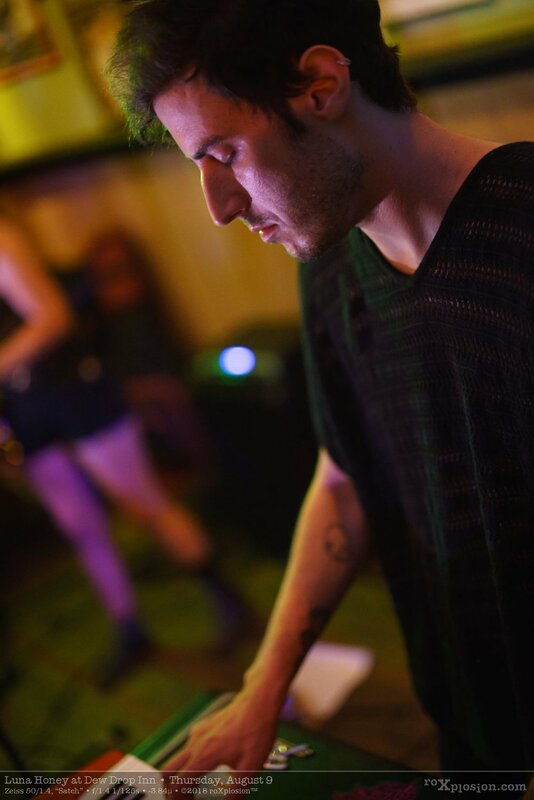 In August, we had a great time playing with Grün Wasser and Tölva at The Dew Drop Inn, and got to sit down with Kevin Hill of Chunky Glasses and chat about the meaning of life and the role of music and community and all that jazz. Kevin is a delight to talk to and his cats are adorable and we will miss his presence in DC next year. We also got back in the studio and recorded a live version of the set we’d actually been playing at shows, plus two new songs, “Red and Black” and “Inheritance,” and got to work readying the recordings to be put out on cassette before our upcoming tour the next month. The live version of “Peace Will Grind You Down” was included in Paranoia Musique’s Volume 4 compilation. Paranoia Musique is based out of Rio de Janiero, so it was energizing to be having conversations with folks from other countries and discovering new music in the process. Turns out music both expands your world and also makes it feel much smaller and connected. Also in August, “Going Faster” was released on the BLIGHT. Makes Right Compilation Vol. II and is available on cassette. In September, we released our live cassette, “Peace Lives” on the 23rd at the Black Cat. The night got off to a rocky start with some sound issues at the venue and we thought we might have to cancel at the last minute, but everyone there really went above and beyond to make sure the show went on. So thanks, Black Cat. Y’all are amazing. We had a blast playing with Knife Wife and Kid Claws, and it was the perfect way to kick off our first tour. After the show, we packed up and hit the road until October 11th, playing from Erie to Minneapolis, to Kansas City to New Orleans to Asheville and bunch of places in between. We even squeezed in a photoshoot in Birmingham, Alabama with Jaysen Michael and swung by to chat with Jacquie Cotillard of The Earth Hotel for a podcast. We met so many lovely people on tour, it was really refreshing. The news would have you believe we’re all incapable of getting along, but I think once you get out there into America, you find we’re doing much better coexisting with each other than we give ourselves credit for. Not that there isn’t always room for improvement. Thank you to everyone who let us crash on your floor or cooked us a meal or came out to the shows. Black Cat Main Stage - Sep 23 2018. Video by Kristie DiLascio. Photo by Rachel Martini. This is a really great month to be a moody, broody band. Recovering from tour, we focused on radio for the month, doing a live set with Des Demonas at WMUC’s Third Rail Radio. Later in the month, we also swung by The Line in Adams Morgan to talk with Ray Barker on Full Service Radio. Ben chatted about BLIGHT.Records as a label, and then we talked a little more about what Luna Honey had been up to. Oh boy, November. Not only did we get to play with Exploded View, who we are big fans of, at DC9 on November 11, but we were invited by Hometown Sounds to play the Millennium Stage at The Kennedy Center. The Kennedy Center performance was recorded, and for that set we got to play all the songs we’d been doing live up to that point, so that is a great video if you have been wanting to check out what a show is like . We finished our last show of 2018 at Comet Ping Pong on December 13th with HackedePicciotto and Eric Hubel, who we knew were amazing musicians, but it turns out are all lovely human beings, as well. As luck would have it, we were both headed down to Richmond, VA the day after the show- them to play another night on their tour, and for us we were participating in a John Cage-inspired day of improv experiments at Etching Tin Studio with the Richmond Avant Improv Collective. Though I’ve been in DC for 11 years, I grew up in Richmond and let me tell you if you’d have told me at the beginning of the year that in December we’d be sitting down with some musical heroes at Gwar Bar in Richmond of all places to have brunch, I definitely would have thought you were off your rocker. Yet here we are. Follow your dreams, friends. Cause they apparently lead you to some interesting places. It seemed fitting to close out the year with an experiment. For “Chance Operations,” 17 musicians from a variety of genres came together in the studio for a day to record an album. For each session, the number of musicians was drawn at random, followed by a random selection of the individual musicians who would play for that piece. We ended up with 22 tracks recorded and left full of inspiration to take back to our winter gloom caves in DC. Thank you to Samuel Goff of RAIC and Among the Rocks and Roots for conceptualizing and organizing the day. We can’t wait to share the outcome with you in 2019. Thank you for a wild year, everyone. May 2019 be everything you need it to be.